1200mm x 600mm minimum frame size, with hatch. Some assembly is required to fix the wooden loft ladders to the hatch, on site. 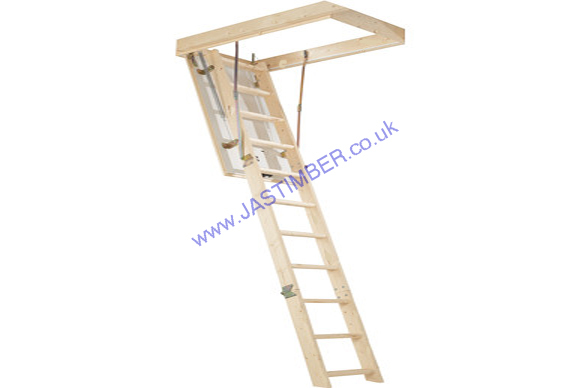 Maximum ceiling height for this ladder is 2800mm.